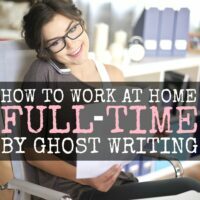 This is a guest post from Nicole at House of Hermens. Who I’m lucky enough to know in real life (and she’s just as amazing as she comes across in her writing). There were cars waiting outside of the house at 5:30 a.m. on the day of my yard sale. I wasn’t even dressed when I peered out the window to see a minivan and two trucks idling in the dark. I was tired, groggy, and second guessing my decision to wake up this early—that is, until I saw those people waiting. At that point, my uncertainty quickly changed to excitement! People are here! And they want to give me money for my clutter! What luck! 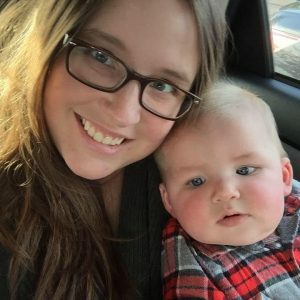 My husband and I have spent the last year cutting our expenses in half so that I can be a stay at home mom, but we still wanted a financial boost. An easy win. My parents had a lot to get rid of because they are moving, and we had a few things that were just collecting dust and taking up too much valuable space—so we decided to team up and put on a yard sale. Yard sales are not exactly a get-rich-quick scheme, but you sure do get a lot of cash in your pocket in the span of only a few hours! 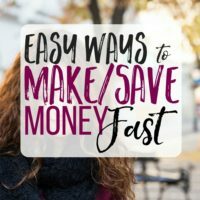 It is motivating to make a quick buck, and it helped us bulk up our emergency savings in the same amount of time we normally spend making pancakes and sitting around watching Hulu for too long on Saturday mornings. Okay…maybe a little bit longer than that. The yard sale was a huge success—in just a few hours, I made $712! And if you have a lot of stuff to get rid of, you could make even more than that. Our sale was fairly modest in size, as we only had a few hot ticket items, but I think we did great! 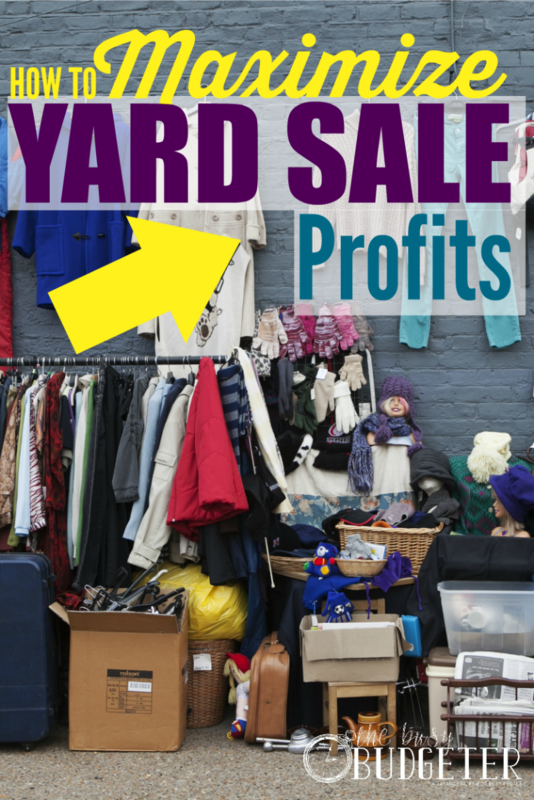 I want to share what we did to maximize our profits so that you can do the same for your next yard sale. I figure if you are going to take the time to put on a sale, you might as well get the most money out of it that you can, right? Let’s get started! Does your neighborhood put on a yard sale a couple times a year? What about a local church or school? These are great opportunities for your yard sale because they attract TONS of people! They also tend to be widely advertised in the local newspapers and online, which brings people to your sale for no extra work on your part. Not sure if you could tag along in a community sale if you aren’t part of that community? Most community groups and churches will let you participate if you just ask, so don’t discount multifamily sales just because you aren’t a member. For our sale, we chose to have it on the day of our neighborhood yard sale. Tons of other families in the neighborhood had sales on the very same morning, driving traffic to our area and our sale! If you can’t find a community sale or group to jump in with, remember—Saturday morning is the most popular time for a yard sale. In order to make the most money, don’t re-invent the wheel on this one. Stick with Saturday, because that's when people are out searching neighborhoods for yard sale signs. There are people who make a living turning a profit on yard sale finds, and you can bet they are out first thing on Saturday mornings. To get people really excited for your sale, come up with a fun theme like you would for a party. We chose to advertise the sale as “Moving to Paradise Yard Sale” because my parents are moving to the Caribbean. Theming your yard sale will help you stand out online and on the day of your sale. Make sure you take time with your advertisement and include information on specific items that will be on sale. Take lots of good pictures of the items you have for sale so that people can do a little online window shopping before they come. I made a simple graphic to go with my advertisement that included the name of the sale and the important information. It was eye-catching, so it got a lot of people to click on the full yard sale advertisement online. Even if you aren’t good with computers, you could make one of these really quickly with Paint or a word processor. The idea is to be different and stand out so that people will make the trip to your sale. Post your advertisement on Craigslist the week of the yard sale. It is free! I also posted my sale on a few more websites including Gsalr.com, YardSales.net, Yardsalesearch.com, and GarageSaleFinder.com—all free. It was overkill…you don’t need to do all of this. In fact, I asked people who came to the sale how they heard of us, and 100% of the responses were Craigslist. We pumped great beach music that went along with the “Moving to Paradise” theme, we all wore leis, and we just created a party atmosphere. This sounds kind of silly first thing in the morning, but it made people more comfortable and more likely to stick around. The longer people are at your sale having fun and browsing, the more likely they are going to buy. It doesn’t hurt to turn on some music, or maybe to even have free or bake sale style food and drinks available. Talk to people about other sales they might have been to or what kinds of things they are looking for. If people have a good time at your sale, they are more likely to recommend it to other yard sale hoppers at the next sale they go to. Some people hoping yard sales will just drive by slowly and look to see if there is anything they might want to buy. The more fun and busy your yard sale seems from the curb, the more likely these rubberneckers will be to stop and shop. The BIG secret to making the BIG bucks. You can find a ton of information about how to price your items and how to bargain online. But I have found that, more than anything else, the biggest secret to making a lot of money on each sale is that you have to have the right buyer. This applies to the big ticket items you have for sale. I am sure you will have a bunch of little things (we did) that it is okay to sell for less than the ticket price. But for items of higher value, people with only a casual interest will low ball you because the item isn’t worth as much to them. For example, my mom had a large collection of Boyd’s bears for sale which are worth a lot of money to collectors, but not very much to a mom looking for a teddy bear for her child. So how do you get the right buyer to come to your yard sale? Your Craigslist advertisement! It is critical that you include details about the big things you will have for sale so that someone hunting for them knows where to come. A man drove from Florida to Virginia to come to my yard sale because I advertised that I had vinyl records on sale. He sent me an email through Craigslist to confirm what I specifically had for sale, and then he drove up! All those early birds waiting hours for the yard sale to start were people looking for a specific item that I had in my advertisement. It makes all the difference in the world to have the right buyer, and will fetch you the highest price possible for valuable items! What about items that don’t sell? Large, unwieldy items that you don’t want to put back into your home and things that you thought could be worth a lot of money should be posted on Craigslist. We had a treadmill and a home gym at the yard sale that I could tell weren’t going to sell, so I put them on craigslist during the sale using my smartphone. People dropped by to buy them! It is quick and easy! For everything else, you could sell them online or just donate them. Take time calculating what your shipping fees and competitive price would be to sell online—you might not make as much money as you think depending on the item. You could always donate and get a tax break that could be worth more than the money you make online. If you want to get an extra boost to your savings, your debt snowball efforts, or that family trip you have been looking forward to, a yard sale is a great way to go! 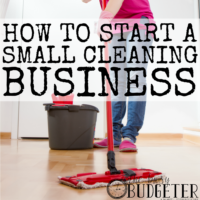 It will force you to declutter your home while making some extra cash. To make the most money possible from your efforts, participate in a community sale, advertise online to get interested buyers excited for your yard sale, create a fun environment that keeps people shopping, and sell online or donate items that are left over after your sale. 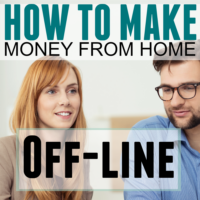 At the end of the day, with a pocket stuffed full of cash and a house that looks neater than it has in months, you will be motivated to tackle your next financial goal. I know I am. Nicole writes at House of Hermens where she talks about parenting on a tight budget. She was able to leave her full-time job to be a stay-at-home mom (and on her husband’s teacher salary—no less!) after learning the basics of budgeting and financial stewardship. Now she loves personal finance, sharing her mistakes and successes as a new parent, and singing with her church choir.